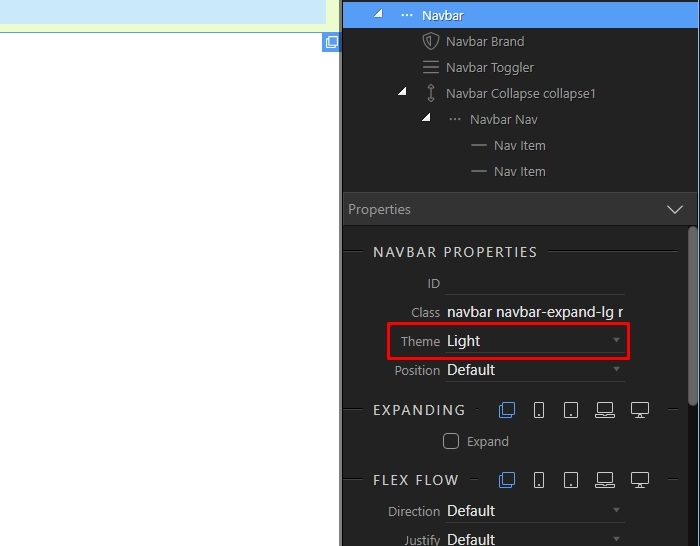 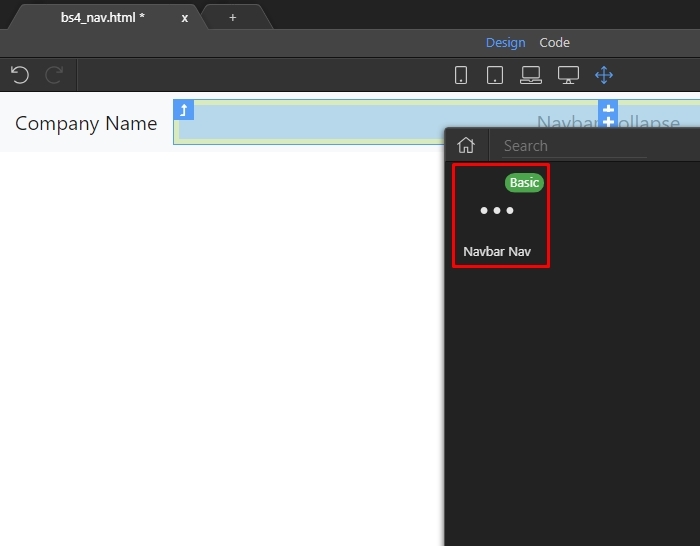 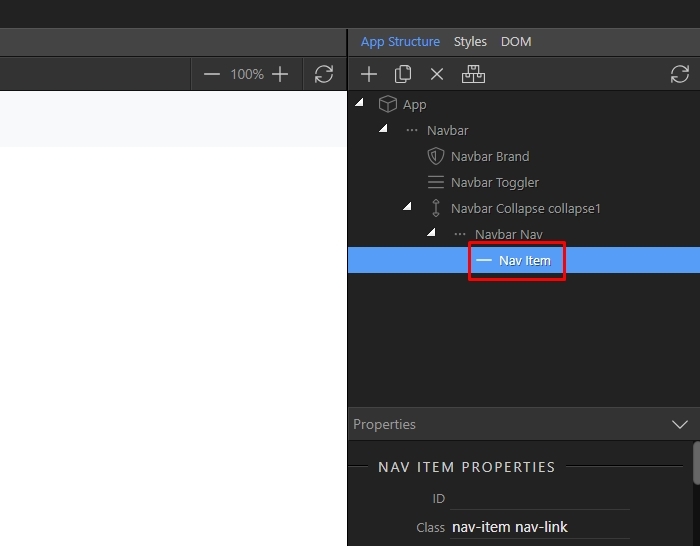 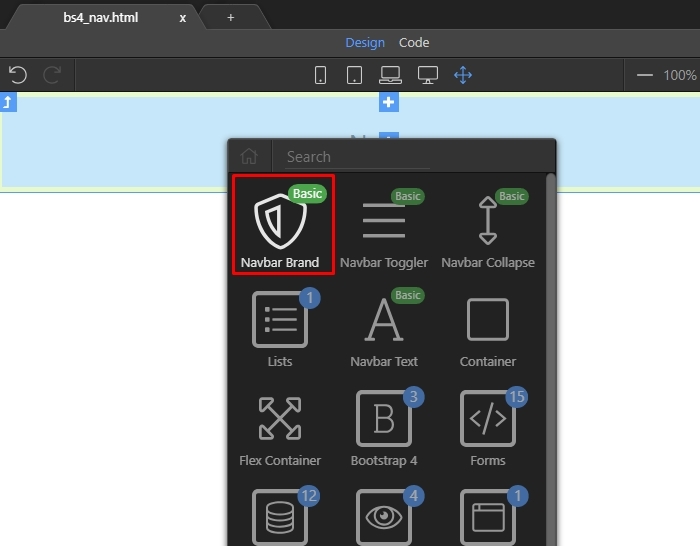 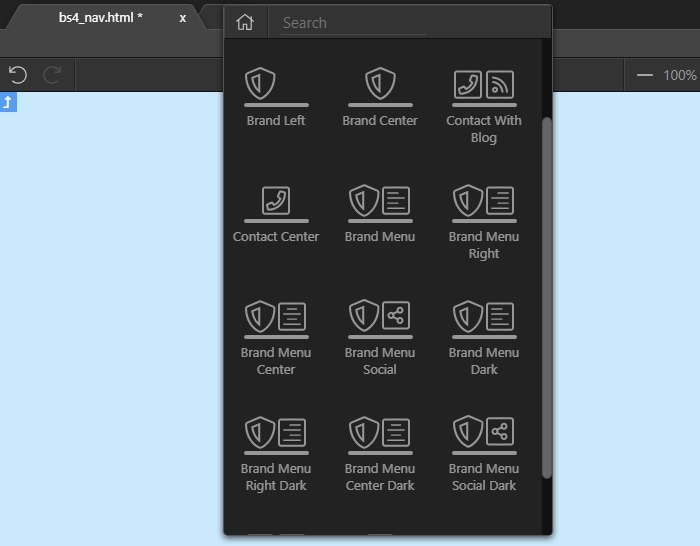 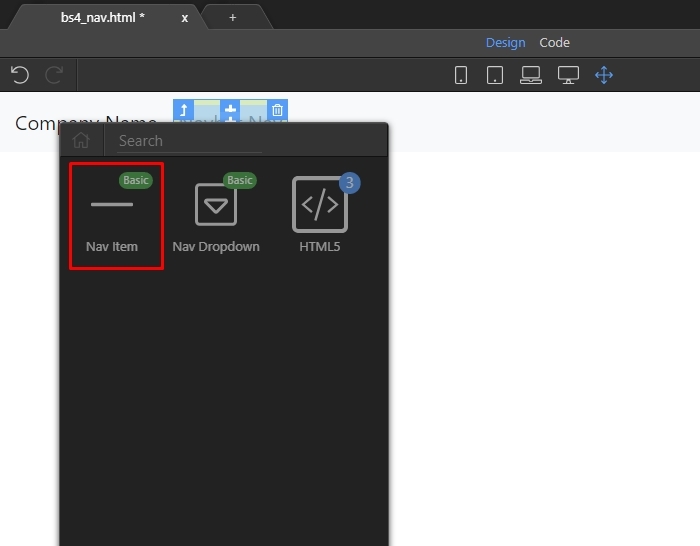 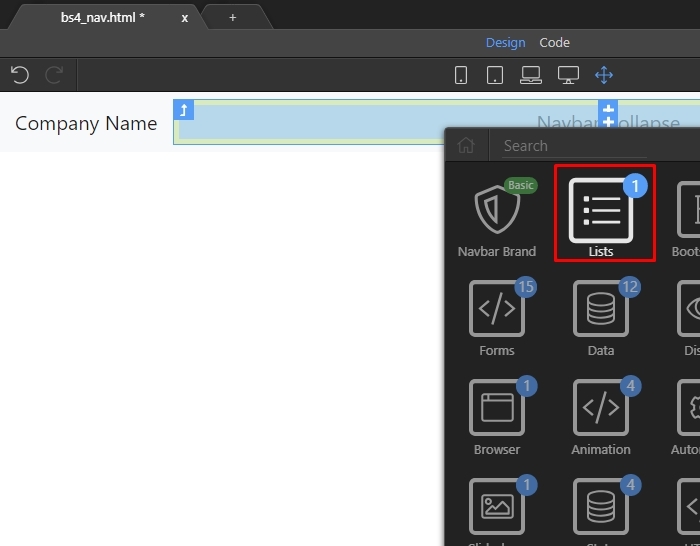 Using the predefined navbar templates. 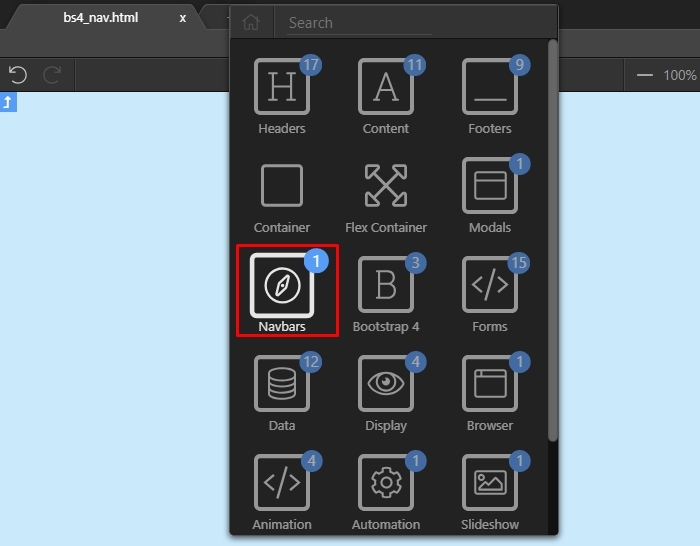 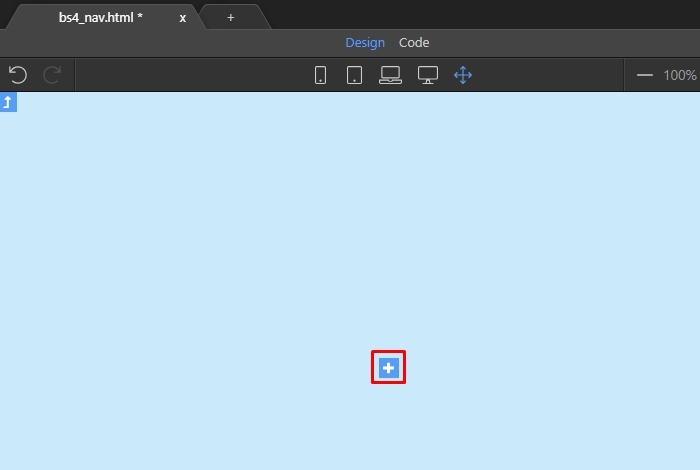 Create a navbar from scratch. 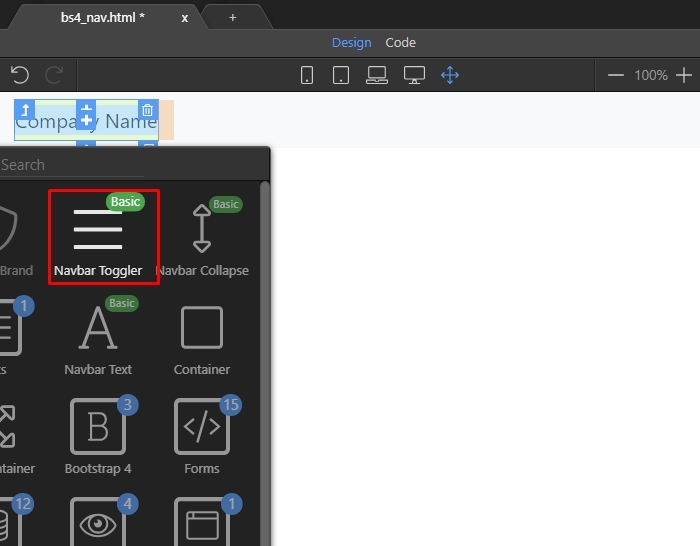 There are two ways of setting up a Bootstrap 4 Navbar on your page. 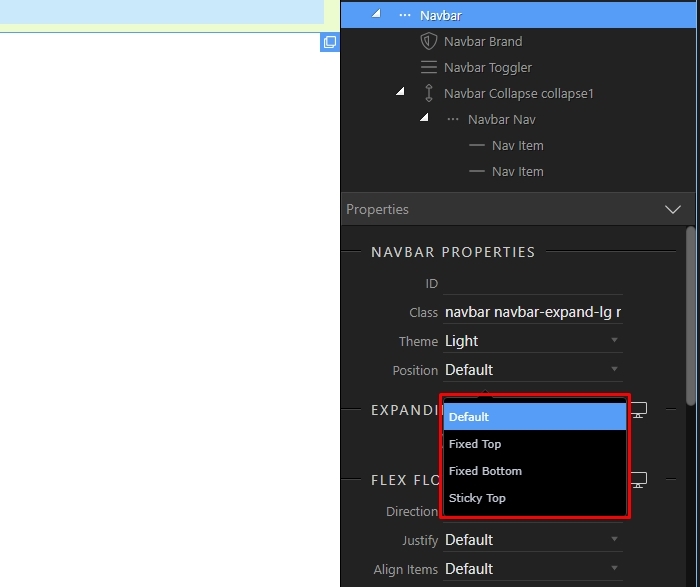 Choose on which device size the navbar should be expanded. 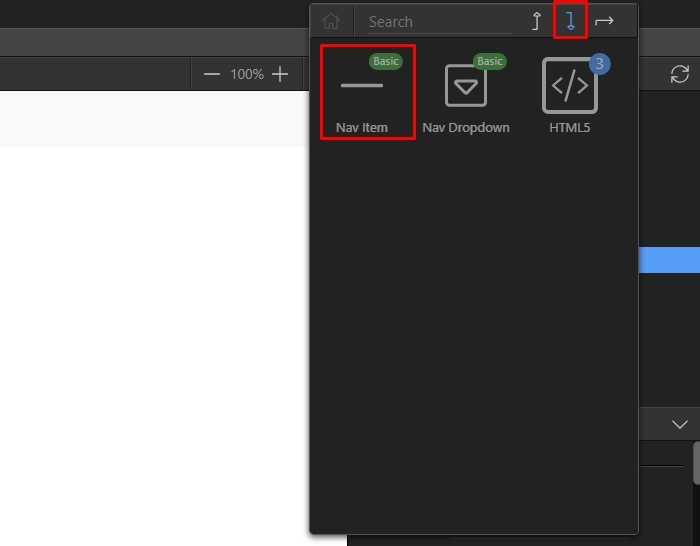 Just click on the device icon, and check the expand checkbox. 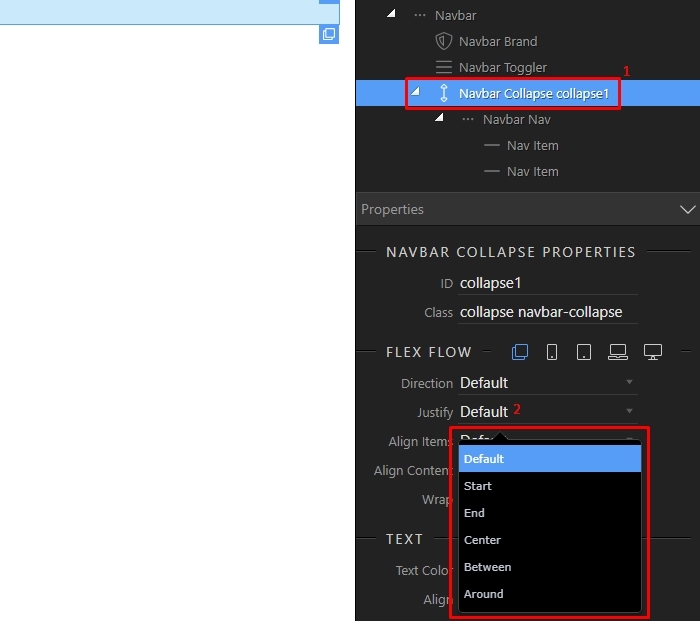 NOTE: If you want to have the menu collapsed on all screens i.e. 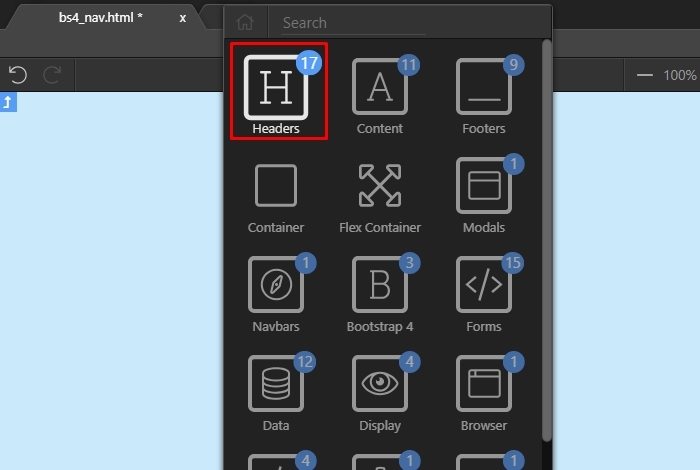 to see the “hamburger” icon on all screens, just remove the expanded option for all the screen sizes.